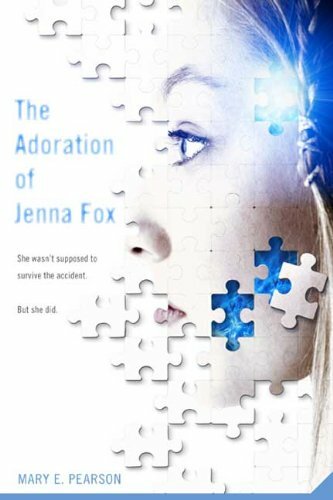 Jenna has been in a terrible accident that she can't remember, and wakes up in a body that she must learn to use again after a year in a coma. She can't remember anything about her life. She only knows what her parents tell her and what she learns from the home videos they have left her to watch. As she learns more about herself she starts asking a lot of questions, and when her parents aren't forthcoming with answers she is determined to find them herself. I like this kind of book, where the protagonist doesn't really know what's going on and the reader learns the answers slowly along with her. Although the narrative is fairly simple and straightforward, the story asks a lot of big questions about bioethics and how far we should go to save a life. The science in this book may be leaps ahead of what's available today, but the questions are still relevant and ones that should be asked before the technology is available. I read this for my Not-So-Young Adult book group at work and I think it will make for a really good discussion. Jenna was rather a wisp of a character, which I supposed makes sense given how little she even knows about herself, but I liked watching her grow into a more fully-formed character. We didn't get a whole lot of information about her world, mostly learning about medical technology and regulations and I think the story could have benefitted from the society being a little more fleshed out. These same issues would affect so many other aspects of one's life and I was curious about that. Perhaps there's more information in the sequels. There are two follow-ups to this volume, which take place in the far future. The second book is centered around Jenna's friends Kara and Locke, who were in the accident with her. Although she felt their loss deeply, they weren't fully-formed enough for me to care about them, but they might be in the second book in which they are more prominently featured. I don't think I'm intrigued enough to keep going with the series, but if the subject is one that interests you, you couldn't go wrong - this was a fast, easy read and I'm sure it would take little effort to zip through all three.